土耳其伊斯坦堡是由亞洲去歐洲的裝機熱點，也是前往以色列的一個很好的中轉站（大男孩試過乘搭以色列航空，英航，瑞士航空，漢莎航空及土耳其航空，其中以色列航空雖然是直航，但要繞道之餘，坐在裝滿猶太人的飛機上心理壓力也不少，航程及轉機時間最好就是經伊斯坦堡）。伊斯坦堡機場沒有提供免費上網服務，大男孩試過入去HSBC 貴賓候機室，雖然Advance卡卡主可以免費使用服務，但就只限本地客戶使用。Istanbul, Turkey is located right in the middle if Far East and Europe. 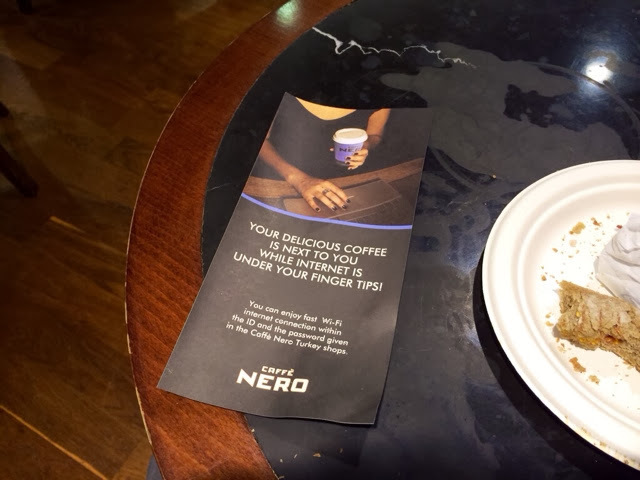 So it becomes a nice transit point of any flight in between. It is also a good stopover from Hong Kong to Israel, with nice flight to fight 2 hours connection time. 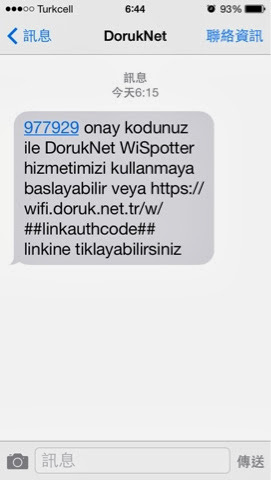 Unfortunately there is no free Wifi service provided by the Istanbul airport. There is a HSBC longe for the Advance card holder, but limited to local user only. 大男孩的下一個目標就是找Cafe，因為通常Cafe都有提供上網服務。誤打誤撞走進了Nero Cafe，它在food court內，那裏的三文治好像好OK，相比周遭的Pizza及fast food總是個比較好的選擇。我在飛機上沒有食晚飯，爭取時間睡覺（晚上11時登機，1點派晚餐，如何有胃口吃呢？），只在下機前吃了點早餐，這個Roasted beef penni就最適合不過！So I went look for a cafe that provide Wifi service. 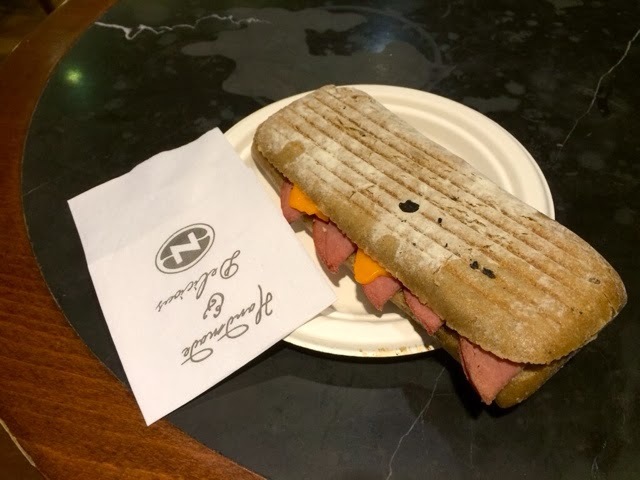 And I arrived Nero Cafe, which provide decent sandwich out of all the fast food and pizza in the good court area. It's good time to have a roasted beef penni as a breakfast after 10hours flight. 付錢時順便問問有沒有免費Wifi，漂亮的barister小姐就比左張leaflet我，跟我說是要登記的。I asked the barrister about free wifi and she have me a leaflet and said I need to register for that. 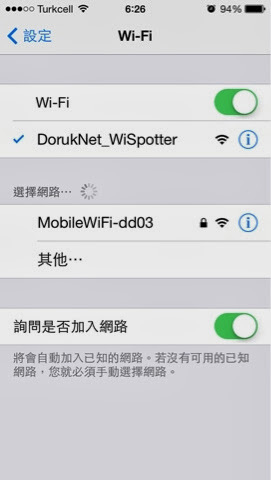 選擇這個Wifi網絡，之後有得選擇使用User name連線或Facebook賬戶連線，貪方便的我當然是嘗試使用Facebook帳號，但並不成功，選擇後應該出現的登錄畫面並沒有如期出現，反覆嘗試也不行，最後唯有放棄。Choose this wifi network and you will be prompted for 2 login options: user name or via Facebook. I tried to use the Facebook login but not success. Don't know the reason. 轉用User name登錄，需要登記一個新的帳號，填一些個人資料，都是一般資料，需要一點時間，也要輸入電話號碼，再在電話收一個短信才能確認登記。在填電話號碼時，分別要填Country code, prefix及number，在沒有prefix的香港，我嘗試留空或填0，都被認成無效電話，最後把香港手提號碼的第一個數字9填入prefix，再將餘下的號碼填入number一欄，搞掂！害得大男孩輸入了幾次。完成後1分鐘左右收到確認號，然後就以它來完成登記過程，之後就能上網了。Then I change to user name login method. To do that I need to register a new account. Enter some personal info and a confirm code will be sent to your mobile by SMS. I wasted some time to figure out how to handle the prefix column because in Hong Long we don't use that. Finally I need to break the phone number and take the first digit of the number as prefix, and the rest as number. Took me a few minutes. 幾經辛苦，終於能夠跟家人報個平安，及上Facebook呃下like，但搞得來，去威尼斯的飛機都快將登機了。去旅行，與其周圍搵網上，不如慢慢欣賞旅途的新事物。Finally can get online. Call my family by Skype and go Facebook get updated. Cannot recall when did finding Wifi become so important during travel. Should we spend time in enjoying the trip? 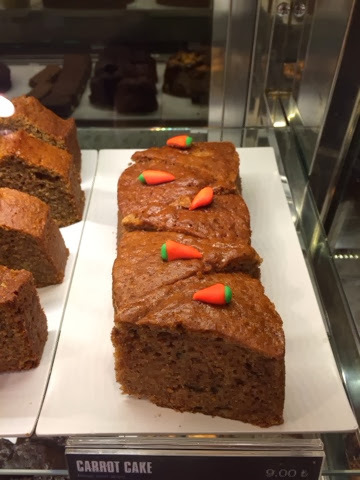 好像這個Carrot Cake，裝飾得多精緻？Like this carrot cake. How cute it is! 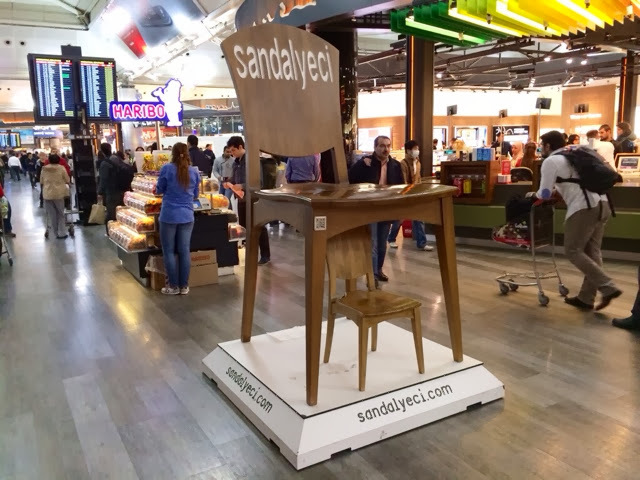 而兩張櫈組成的廣告又如何？Or an over-size chair as an advertisement.